FOOTBALL: BOTTOM club Shawbury United restricted Coventry Sphinx to a point on Saturday as both teams played out a 0-0 draw. Lee Knibbs’ men had their chances to claim three points, but Shawbury settled into the match and were left disappointed themselves after a late strike from distance hit the crossbar. Sphinx came away from Ludlow with their unbeaten run intact, but they had a warning ringing loud in their ears that they have to be on their game against any side in this division. Three of Sphinx’s Under 18s team sat on the bench as Knibbs introduced some of the club’s younger members to Midland League life. Ryan Harkin had early chances for Sphinx on in the opening minutes as Shawbury weathered the early storm. Right back Scott Lower was next to threaten with a shot over the bar and then Harkin had a chance from a corner but his shot was wide of the target. Shawbury were starting to threaten the goal themselves and a smart save was needed from Allingan to keep the scores level. 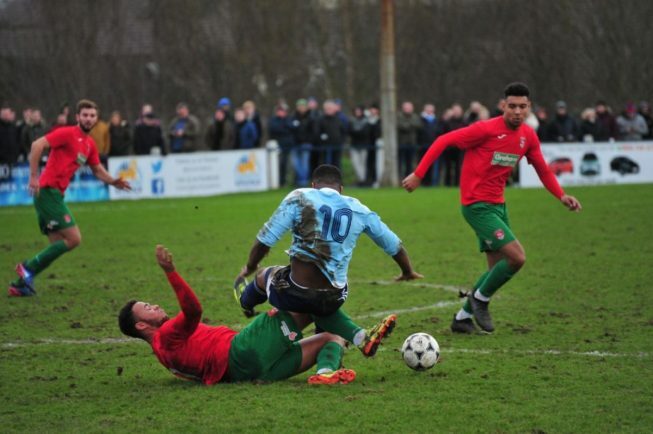 Chris Sterling was introduced to Sphinx’s attack at half time, and he was quickly in the thick of the action when he was brought down – earning the visitors a free kick. But Tower’s usual accuracy escaped him as his header from the free kick sailed over. Just after the hour Harkin was through on goal but the Shawbury keeper again stood up to the test with a good stop to deny the forward. The hosts grew into the game and could’ve took the lead with minutes remaining. A superb long strike hit the crossbar as neither team found a winner. Sphinx are back on home soil on Saturday when they welcome Loughborough University to Sphinx Drive for their next league fixture.